Ace Of Clubs: Today's post is brought to you by: The state of California- you can travel the world, but nothing comes close to the golden coast! Today's post is brought to you by: The state of California- you can travel the world, but nothing comes close to the golden coast! Man, I have got to stop paying so much attention to my radio, now I have TWO songs stuck in my head! Anyhows, the next book club meeting will be on Thursday the 8th of July, at 4:30pm, or 1600 hours. I, tragically, may not be attending, as I have been drafted and shipped off to 'Nam. Be sure to vote on the polls as well. Manix 4 is in it's second week in cinemas, and if you haven't already, you should see it. 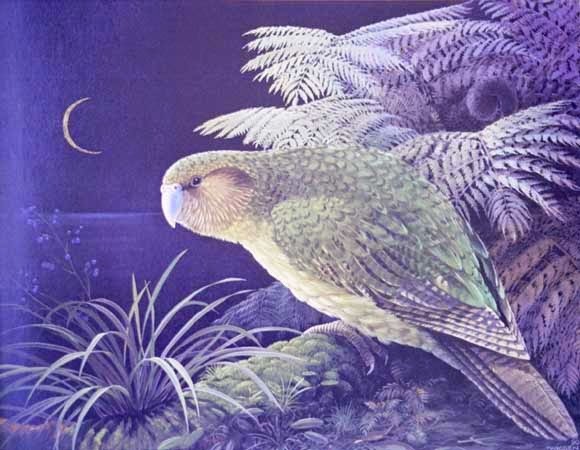 Again, no one completed the kakapo challenge, but I did recieve one late entry for the one before. Here is you over-due Cookie! What I have been reading you ask (well, probably not, but just go along with it)? Well, the second installment of me working my way through the mountain of books I got for my birthday sees me reading a nice big book on that grandest of human conflict, WWII. I don't have facebook!! My mean nasty mummy won't let me. Random fact: scoptophobia is an intense fear of being seen.